Expedia Ireland Vouchers, Discount offers and Free Gifts in April 2019. Redeem a Expedia Ireland Voucher from voucher-code.ie and get your benefit at expedia.ie. Never miss again a Expedia Ireland voucher or sale offer! 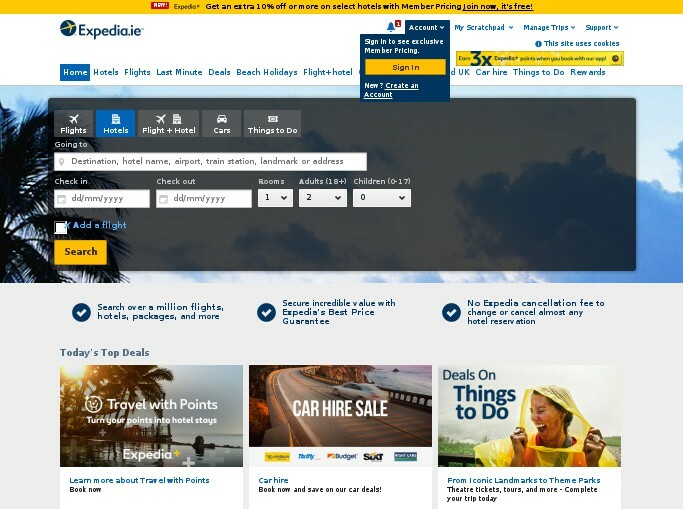 Expedia is one of the world's leading full-service online travel agents with localised websites in 31 countries, offering access to over 510,000 bookable properties around the world (including boutique hotels as well as major hotel brand names), over 400 airlines along with a wide selection of car hire and destination experiences. 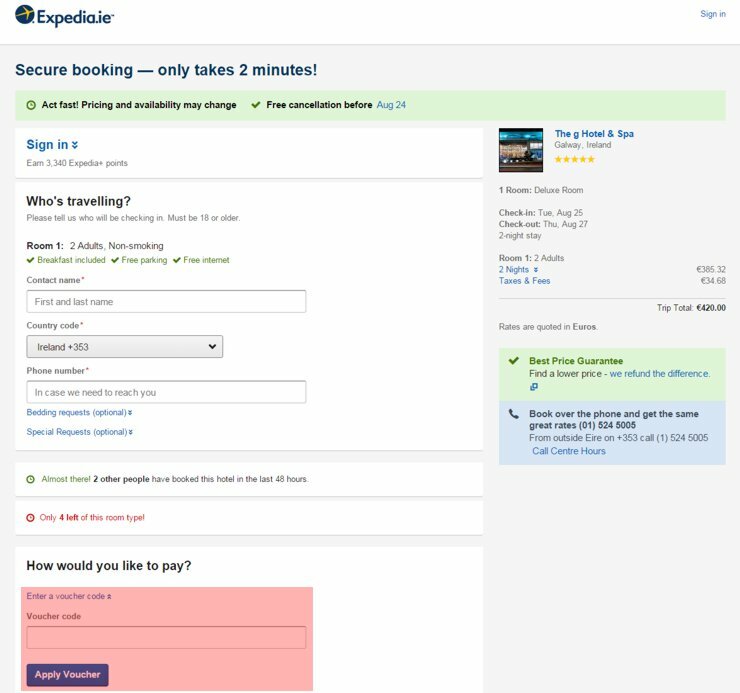 By combining choice with specialist tools to help refine these options, Expedia.ie helps travellers to find and create the trip that best matches their individual requirements. Now with the award-winning Expedia mobile apps for smartphones, tablets and wearables, people can plan, book flights and hotels on the move. The Expedia apps offer helpful tools to manage your trip including: airport terminal maps; hotel check out time and flight status notifications; maps to your hotel and a host of other features.